More than two million UK households will face fuel poverty because of gas and electricity price rises, according to a leading watchdog. 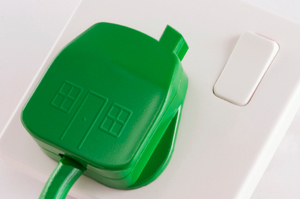 Consumer Focus worked with the Centre for Sustainable Energy to analyse fuel poverty levels. It found almost one million households will be at threat from fuel poverty as a result of recent price hikes of up to 20% by big energy suppliers. It also concluded that almost two million more homes will actually be classed as living in fuel poverty as a result. Audrey Gallacher, Consumer Focus director of energy, said: "Fuel poverty levels are set to soar as energy price hikes and the cost of investment in making our energy supply more secure and sustainable kick in. "Worryingly the predictions for fuel poverty in 2011 are likely to be an underestimate as four of the Big Six have yet to announce their expected price rises." The watchdog is calling for suppliers to take account of customer income before starting reclamation proceedings for unpaid bills; for investment in green energy to be set at a sustainable level; for more competitive deals from the 'big six' suppliers to create cheaper gas and electricity; for Government to create a 'coherent' fuel poverty strategy, and that Government should pay more attention to price rises which far outweigh inflation for those living on state benefits. Latest gas and electricity news brought to you by UK Power - the energy price comparison site.